Anyone who loves indulging in smoked meat knows it’s a hot commodity and that quality meats can be hard find. If you’re lucky and do get your hands on some, chances are you’re going to pay a hefty price. However, this can all be avoided by buying your own smoker and doing it yourself! We will be covering a couple of the best electric smokers currently on the market made by Bradley. This article will explain the differences between each model and help you uncover the best option for your needs. We’ll look at the key features, pros, cons and other important info about a few models. Knowledge is power; stay informed and buy smart! The manufacturer of these electric smokers is Bradley Technologies Inc. Their head office can be found along the Canadian west coast, in an area known as British Columbia. 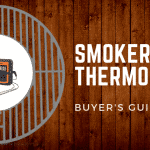 This company took the tradition of eating smoked meat to an entirely new level by selling electric smokers that are user friendly and offer authentic smoked flavors every time. Bradley smokers also help to make sure you’re getting the right wood briquettes to compliment your cooking experience. 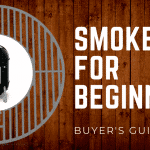 If you’re interested in building your own smoker, you can even find a blueprint on Bradley smokers website to guide you step-by-step. Bradley smokers sell a large variety of smokers. For many people, this can be confusing due to lack of available product knowledge. Our article is here to help. Let’s get started! 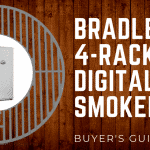 The first smoker we’re going to look at is the Bradley Digital 4-Rack Smoker. This is one of their smaller smokers and is ideal for small quantities of meat. 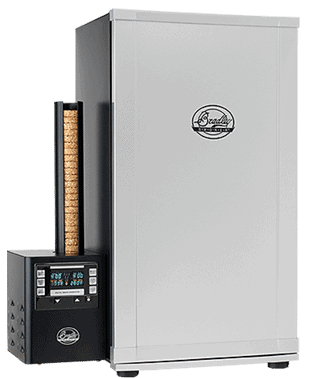 This smoker includes all the features of the original Bradley smoker and is electric. 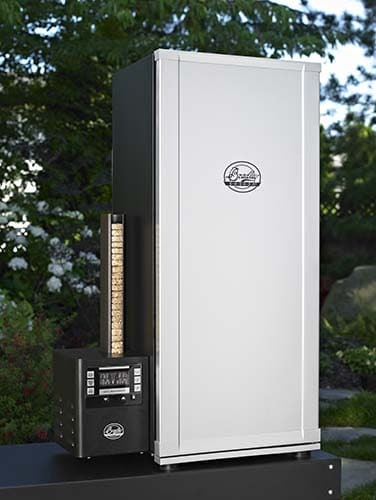 First, a 4-rack smoker that has space for all kinds of meat - everything from chicken to ribs! It has a full digital controller which allows you to adjust the temperature, the time, and the amount of smoke desired. This simple design makes for perfect smoked meat and is ideal for beginners. This model can also run for up to 8 hours. Not only is this efficient, but you will save money due to having to buy less briquettes. Racks are also removable which makes cleaning a breeze! Manage smoke and temperature with ease. Another great smoker is the Bradley Digital 6-Rack Smoker. 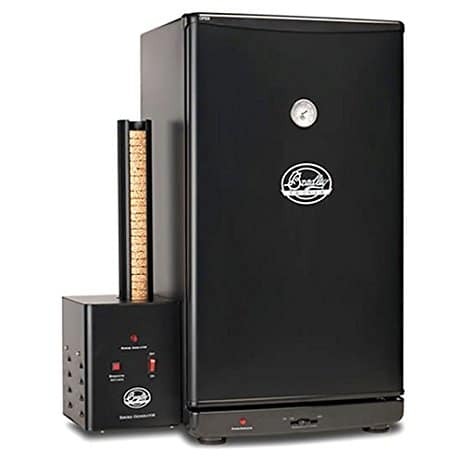 This smoker is larger and a bit more expensive than the 4-rack smoker. Let’s dive into some of the aspects behind what makes this model so unique. 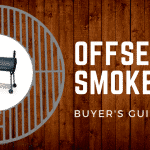 It’s size - this smoker is ideal for any large family because it has 6 racks to smoke on. This also makes it great for dinner parties or any big game hunter. You can also use any of the 9 different flavors of hardwood available for smoking, giving meat a unique flavor each time. This 6-rack smoker is fully digital so you can control the temperature, the time, and the amount of smoke produced. The smoker is made from the highest quality materials to ensure durability. The size of the Bradley 6-Rack Smoker is ideal for large group settings. You can fit a huge assortment of meat in there at once making it very efficient. Fully automated meat smoker. This means there’s no need to guess the amount of time needed to smoke meat correctly, the smoker does everything for you! 4-Rack outdoor smoker, ideal for medium to large sized families. It’s also large enough to smoke entire chickens, ribs, and other meats in unison. It has a 500 watt cooking element, allowing it to heat up faster than competing smokers. It also comes with a drip bowl to make cleaning easier. The great thing about this model is you can use this smoker for more than just smoking meat. You can also use it for slow roasting or cooking! Powder epoxy steel construction smoker. This feature means your smoker will last for years down the road. The only customer complaint we found was that it doesn’t get as hot as they would have hoped. Harder to use under cold conditions, limiting use of the smoker depending on where you live. 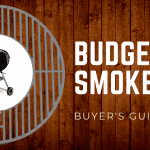 The bottom line is that no matter which one of these Bradley smokers you purchase, you’re going to get tremendous value for the amount of money spent. Their products are durable and easier to use compared to the leading competitors. Additionally, because they’re digitally controlled, you can set the temperature, time, and amount of smoke you want. This helps to ensure your experience is just as you planned from the start. With the review of the 4-Rack model, the Digital 6-Rack model and the Bradley BTIS1, you will see they are all equally great. Each has different features and benefits, and you won’t regret purchasing any one of them. Bradley smokers are widely known for their quality and guaranteed to last, making any purchase well worth it!